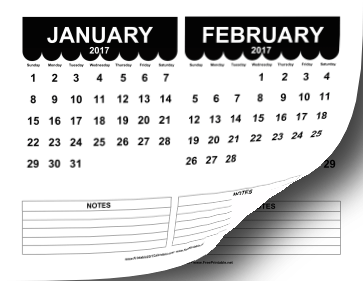 There are two months per page in this printable 2017 calendar. Each month is decorated with a cute scalloped border and lines for notes at the bottom. Free to download and print.